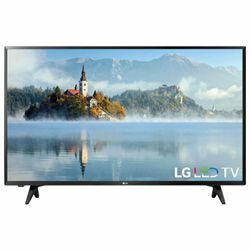 LG 43LJ500M vs 43LJ5000 presents two similar TVs of the high resolution but without additional “comfort” options (like a Smart TV). To compare the series, both LJ500M and LJ5000 appeared in 2017 and featured the single screen size of 43 inches. The LJ5000 is a little more expensive, providing sharp contrasts and bright colors due to direct LED backlight. LJ500M produces a decent image, becoming a bit washed out in the light room. It implements the IPS matrix lit by fluorescent lamps, enabling the good angle view quality. 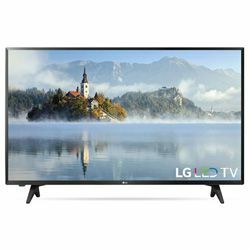 The image of LG 43LJ5000 vs LG 43LJ500M has the same native 1080p resolution. LG 43LJ500M provides wide color gamut and good warm hues all over the display. The transitions are smooth but not blurred. The image stays crisp in the dynamic scenes due to the good framing rate of 60 Hz. Versus LG 43 LJ5000, it provides juicier colors with a wider palette. The latter, however, can be marked for the even light without any darker spots at edges. The blacks are deep and solid, why might seem a bit greyish in the totally dark room. Both TVs are simple to set up, featuring the same straightforward while a bit inflexible menu. There are no included smart options or wireless connection, limiting the functions to the TV / Blu-Ray (DVD) / monitor operation. The sound of LG 43LJ5000 is regular, providing acceptable loudness and distinction. The LG 43LJ500M audio is weaker, featuring interference and poor dialog line. This issue can be fixed with external speaker connection. The latter is unavailable in LG 43LJ5000 due to the absence of the optical audio outputs. Both TVs are good for energy saving, having the low average consumption. Both TVs have similar minimalistic design, with a thin frame and slim-looking but steady paired legs. LG 43LJ500M is slightly thicker, while its stand has wider depth than that of the LG 43LJ5000. The VESA mount of LG 43LJ5000 has a bit smaller interface (200 X 100). The remote is overcrowded by buttons that are not well discernible. I enjoyed its fast performance as a monitor due to immediate response via HDMI. Good quality for DVD playback. Good pixel density enabling smooth and uniform picture. Maintains FLAC and OGG formats – good for PC apps. I connected Chromecast via USB and could stream via it.